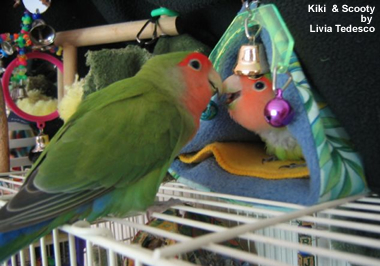 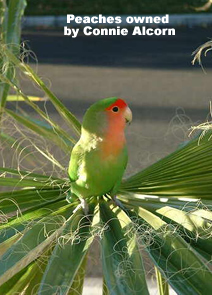 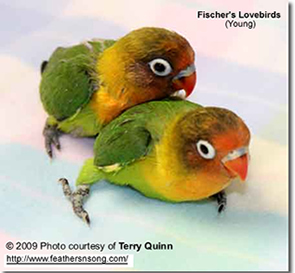 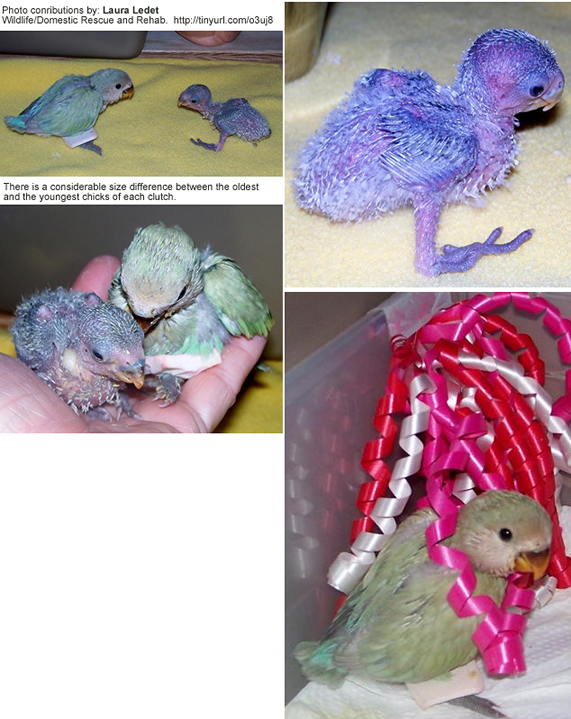 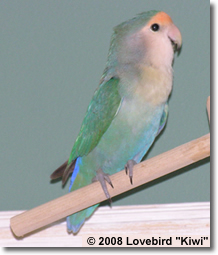 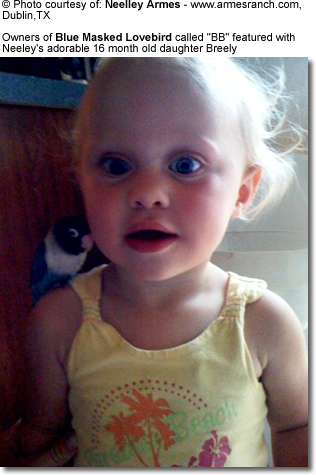 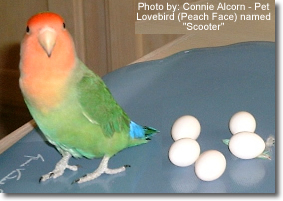 Various lovebird species are featured on this webpage. 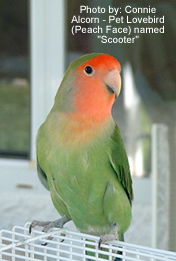 Click on the relevant photo to get to the species page to learn more about them. 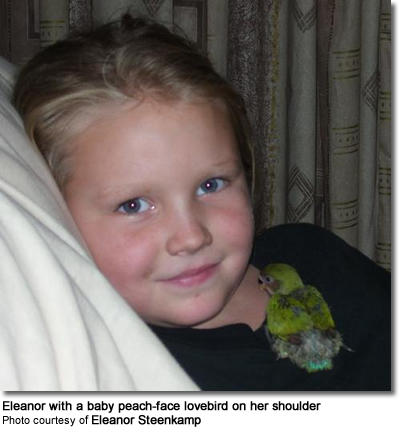 Photo Contributions by: Laura Ledet. 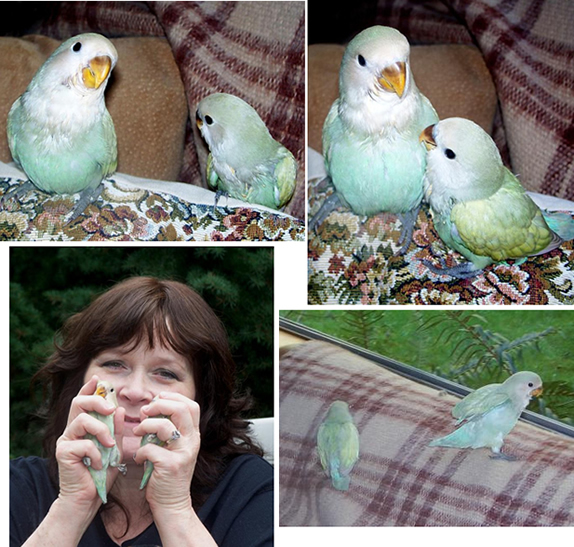 These two adorable lovebirds are chronicled from just days old to the present - starting with the most recent set.